When budgeting for a car, many financial experts recommend limiting auto-related expenses to around 10 percent to 20 percent of income. But budgeting for car costs can be tricky when expenses -- such as auto loan payments, car insurance premiums, vehicle maintenance and more -- quickly add up. But, costs vary widely by state. In fact, depending on where you live, your state could add up to $7,217 to the cost of buying, maintaining and owning a car for three years. Click through to see if your state is saving -- or costing -- you thousands to buy and own a car. In the 10 states where it's cheapest to own a car, total car expenses stayed under $10,000 (remember: this price is not including the car's sticker price). The study also revealed that in the state where owning a car is the cheapest, drivers pay $3,129 less than the national average to own a car for three years. 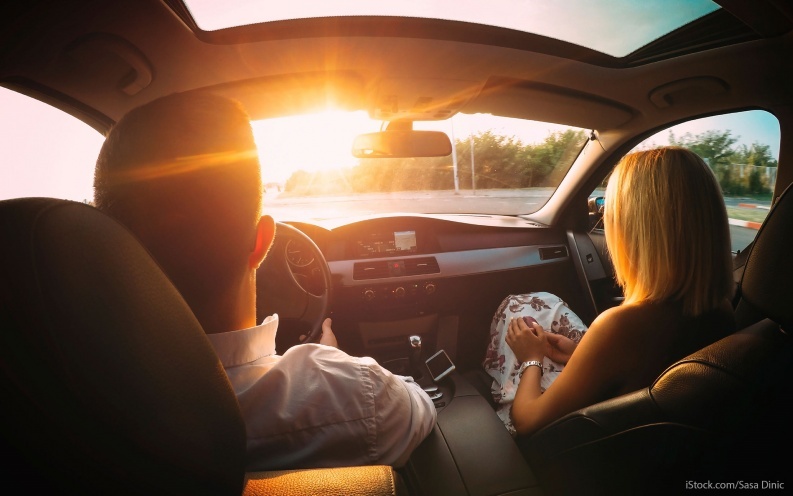 With many drivers facing big costs in addition to auto loan payments, keeping these other expenses low is key to staying within that target budget of 10 percent to 20 percent of income. Click through to see the full list of the top 10 states where it's cheapest to own a car, and find out how the other 40 states ranked. New Hampshire is the cheapest state to own a car by far, with the total costs of buying and owning a car for three years coming in at $1,182 less than the next-cheapest state (Missouri at $9,280). New Hampshire is one of just four states that levies no sales tax on vehicle purchases. It also has low insurance premiums ($941 annually) and low maintenance and repair costs ($337 a year). Owning a car for three years in Missouri costs only $9,280. The biggest factor helping Missouri residents' car budgets is the cost of gas, which is only $1.59 a gallon -- the lowest average in the nation. Across the board, however, Missouri residents pay less than most Americans for nearly every major car expense this study surveyed, including car insurance, maintenance and repair, and registration and title fees. With a lower car sales tax of 3 percent, North Carolina residents' typical tax and title fee costs are $675 than the average of all states ($1,733). Inexpensive car insurance ($987 annually) and registration fees ($28 a year) also keep car ownership affordable, despite North Carolina's $426 average yearly maintenance costs, which are the highest in the nation. Wisconsin car owners pay some of the cheapest car insurance premiums, with typical costs at $912 a year, $413 less than the average $1,325-a-year insurance costs across the states. Gas and car maintenance are also inexpensive in this state, which means that the annual car ownership costs in Wisconsin are the second-lowest in the nation. Ohio residents pay the lowest annual ownership and usage costs of any state, saving nearly $615 a year compared to that average annual costs of $3,165. Though this state has a higher-than-average sales tax rate of 5.75 percent, which adds to the initial costs of purchasing a car, these costs are quickly offset by Ohio's low insurance premiums -- the second-lowest of any state -- as well as cheaper prices on gas and car maintenance. Owning a car costs $415 less a year in Virginia, on average, thanks to the state's cheap car insurance with typical annual premiums at $1,020 and lower gas prices. Virginia car owners, however, should watch out for expensive repair costs that average $421 a year in this state -- the fifth-highest in the country. Oregon has no car sales tax, which means car buyers only have to cover a $77 title fee -- altogether paying $1,656 less than the national average cost of sales tax plus title fee. With typical annual gas costs around $1,500 in the state, however, Oregon residents should plan to pay more at the pump or find ways to save money on gas. With no sales tax and a title fee of just $15, Alaska car buyers save $1,718 on one-time purchase costs on average. Alaska's annual car ownership costs do edge just $101 above average, however. Even though the state has cheaper car insurance and vehicle maintenance costs, Alaska also has some of the highest gas prices, which would add around $1,766 a year to a typical drivers' expenses. In all, Maine drivers will pay $1,360 less than the national average to buy and own a car for three years. These savings mostly come from Maine's cheap car insurance premiums, which at $808 a year are the least expensive in the nation and save drivers $517 annually compared to the average premium of $1,325. New Mexico rounds out the top 10 least expensive states to own a car, and it's the last state where total costs of ownership total less than $10,000 for three years. A car sales tax of just 3 percent and a low $5 title fee mean buying a car in New Mexico is $722 cheaper than the national average. Lower car maintenance costs of $352 annually combined with cheaper gas prices also keep car ownership affordable in New Mexico. Overall, both one-time purchase and annual costs are lower in Alabama and save drivers over $1,000 to buy and own a car for three years. Being a car owner in Alabama means paying a lot less for gas (saving an average $150 a year), a bit less for car maintenance and a little more for car insurance ($12 more than the average of $1,325). South Dakota residents face a higher registration fee than drivers in most states, paying out $105.75 a year to register their cars. However, other lower car expenses keep South Dakota among the cheapest states to own a car, including inexpensive car insurance premiums, car maintenance and a low car sales taxes. For Mississippi drivers, gas prices average just $1.70 a gallon, and registering car is is just $14 a year. For all expenses, however, Mississippi offers savings with below-average costs. Nebraska drivers face the lowest costs for car maintenance and repairs of any state, at just $324 a year. The state also has one of the lowest registration fees of just $15 a year and cheaper car insurance premiums. Idaho drivers will pay slightly more when they purchase a car, facing a 6 percent car sales tax that brings average one-time purchase costs to $294 above the national average. These higher costs are offset after owning a car for just one year, with Idaho drivers saving $348 a year. These savings largely come from cheap car insurance at $935, which makes Idaho one of just eight states with insurance costs under $1,000 annually. South Carolina has the third-lowest registration fee of any state, at just $12 a year, as well as some of the cheapest gas prices. These savings help keep car expenses affordable, despite car insurance premiums that are slightly higher than the national average. Drivers in New York pay more for gas and car repairs, but $275 less a year for car insurance. Overall, annual expenses to own a care are $86 less in New York compared to the national average, and one-time purchase costs are $341 lower. Indiana has the eighth-lowest annual ownership costs of any state, with drivers paying $406 less a year in this state compared to the national average. But car buyers will face higher purchase costs in Indiana thanks to a steep 7 percent sales tax on cars, which adds $2,348 to the cost of buying a typical car transaction at $33,543. Iowa has a unique registration fee structure based on a vehicle's weight, age and listing prices that has the potential to levy some of the highest costs on car owners. For a typical new vehicle, drivers should expect an annual registration fee of around $350. But this high cost is offset significantly by cheap insurance premiums that average $989 a year in Iowa, as well as inexpensive gas and car maintenance. This puts Iowa among the least expensive states to own a car. Sales taxes are higher in Tennessee, making it $628 more expensive to buy a car in this state than the national average. Yet, Tennessee drivers' savings on annual car expenses quickly add up to $389 compared to the average. Vermont residents pay some of the lowest prices for car insurance. The average $942 Vermont car insurance premium is $383 less than average insurance costs of $1,325, providing enough savings to make up for more expensive gas, car maintenance, registration fees and vehicle sales tax. Costs of buying and owning a car are fairly average in Wyoming. Car owners in this state pay less for registration and taxes. Prices in Wyoming are slightly higher, however, for car insurance and car repairs or maintenance. North Dakota drivers pay just slightly less than the national average, saving $348 on buying and owning a car over the course of three years. These savings come from slightly lower sales taxes, car insurance premiums and gas prices. At No. 24 on this list, Arkansas has some car costs that are higher and some that are lower. Its drivers face lower gas prices and fees for title transfers and registration. But Arkansas is also more expensive for car insurance and auto sales tax. Arizona is the last state on this list with total costs are under $11,000 for buying and owning a car for three years. Arizona drivers save the most on registration, with a low fee of just $9.50, and title fees, car insurance and repair and maintenance. One of the biggest costs for Utah car buyers is the state's hefty 6.85 percent car sales tax, which costs them $2,298 for a typically priced vehicle. Utah also has some of the priciest car maintenance and repair services, averaging $413 a year. On the other hand, cheaper car insurance premiums of $1,061 will save residents $264 a year over the national average. Illinois drivers will face lower annual ownership expenses, saving $326 a year on average (a little over $27 a month). The biggest source of these savings are low Illinois car insurance premiums, which -- at $1,035 a year -- offer annual savings of $290 compared to the national average. But car buyers will pay way more than the national average to cover the 7.25 percent auto sales tax and higher $95 title fee. Kentucky residents pay more than average to buy a car, and less than average for ongoing costs. The state has a higher 6 percent sales tax, as well as more expensive car maintenance costs. But it also offers savings with cheaper gas and low registration fees. The 8.775 percent sales tax on vehicle purchases in Kansas is the second-highest in the nation, which adds a significant $2,943 to the cost of buying a car. Besides the high sales tax rate, most other car expenses in Kansas are actually below average, especially gas -- annual gas costs are $177 less than the average cost of $1,376. Oklahoma is the first state on this list with total costs that add up to more than the national average of $11,227 (Oklahoma residents pay $64 more over the course of three years). But with an auto sales tax of just 3.25 percent, car purchases in this state will be cheaper than most. Ongoing car expenses are more of a mixed bag. While Oklahoma has the second-lowest gas prices of any state, costing just $1,162 a year, it also has a higher registration fee of $91. Georgia drivers will need to watch recurring car expenses, as this is where their costs of owning a car will add up the most. While Georgia has cheaper gas prices, residents will also face higher insurance premiums ($1,559 annually) and care repair costs ($418). West Virginia has some of the lowest car maintenance costs at just $340 a year, along with a low $30 registration fee. But West Virginia drivers will also pay more for car insurance ($131 more a year than average) and slightly more for gas ($17 more than average). At 2.90 percent, Colorado has one of the lowest sales tax on car purchases but makes up for it with a ownership tax that's included in annual registration fees, which are typically around $400 -- the highest of any state. Colorado drivers will also pay more for auto insurance and car repairs, though less for gas. While Delaware car buyers will pay $450 less than the national average for one-time purchases expenses, they should watch for ongoing annual expenses, which are $255 higher in this state. Delaware has some of the highest costs for car repair and maintenance, and auto insurance premiums in the state are $282 higher than the average. Texas residents face some of the lowest gas prices, which should save them around $146 a year, on average. But other car expenses -- including sales tax, auto insurance and repairs -- will be priced a bit above average, putting the Lone Star State on the pricier end for owning a car. A higher car sales tax and title fee adds $438 to the cost of purchasing a car in Massachusetts, compared to the national average. And while the state has a lower registration fee of just $30, it also has above-average gas prices and the second-highest prices for car maintenance and repairs ($425 annually). Pennsylvania car owners will pay more than the average in many categories considered in this study. They face high one-time purchase costs, paying $302 above average thanks to a higher sales tax. Higher gas prices will also add an extra $135 to expenses each year, compared to average gas costs. As a state, Louisiana doesn't levy hefty costs on drivers. It charges a lower car sales tax of just 4 percent, and the registration fee is just $20 every two years -- the second-lowest of any state. It also has cheaper gas. Louisiana drivers should plan on high car insurance premiums, however -- $517 more a year than the national average for this cost. Minnesota comes in at No. 39 and is the last state with car expenses that total less than $12,000 over three years. The biggest costs busting Minnesotans' car budgets will be the state's higher car sales tax (6.50 percent) and registration fees ($345 a year). Lower gas prices and a nominal title fee of just $7.25 will offer some savings. Gas is approximately 55 percent more expensive in Hawaii than the national average, adding $605 a year to the cost of using a car. This high cost means that even though Hawaii charges no title fee, has some of the lowest car insurance premiums and a smaller car sales tax, it's still one of the most expensive states to own a car. Car ownership costs in Connecticut are higher than the national average in nearly every category (with the exception of its $25 title fee, which is $2 less than the $27 average). Connecticut car owners should expect to pay a bigger premium for gas, car maintenance and auto sales taxes. Drivers who live in one of the 10 states with the highest auto expenses should definitely be looking for ways to cut monthly car costs and stretch their budget. It'll be necessary, considering that on average, living in one of these 10 states adds at least $850 to the cost of buying and owning a car for three years. In fact, in the most expensive state to own car, costs are $4,088 higher than the national average to buy and own a car for three years. Click through to see if your state is one of the 10 where owning a car will cost the most. Washington is the first state among the 10 states with the highest car ownership costs. Drivers who live here pay $1,386 more than the national average to buy and own a car for three years. The biggest cost to blame for this difference is Washington's sales tax, which -- at 8.9 percent -- is the highest in the nation and adds $2,985 to the costs of buying a typically priced car. This high cost, plus more expensive gas, makes Washington pricey for car owners, despite lower-than-average car insurance premiums and maintenance costs. Nevada's sales tax isn't far behind Washington. At 8.10 percent, it adds $2,717 to the cost of buying a car in this state. Drivers also pay $152 more each year to own and drive a car in Nevada compared to the national average, thanks to the state's higher gas prices and maintenance costs. ontana is one of just four states with no sales tax, which -- along with a title fee of just $12 -- makes it one the cheapest states to buy a car. Ownership costs, however, are $1,086 higher in Montana per year -- the second-highest of any state. This is largely due to the high auto insurance premiums at $2,297 a year, 73 percent higher than the national average, according to a 2016 report from Insure.com. Montana also has significantly higher registration fees, typically $217 a year, as well as above-average car maintenance costs. Drivers in Rhode Island face higher auto expenses than most states in every category measured in this study, though its costs for yearly car maintenance are particularly high (at $412), along with its sales tax of 7 percent. Rhode Island residents spend $1,669 more than the national average to buy and own a car for three years. Maryland levies the highest title fee of any state, at $138. Higher insurance premiums, gas prices and car repair costs also make owning, using and maintaining a car in Maryland for one year more expensive by $427 on average. Florida is among the top five states with the most expensive car costs, where average auto expenses totaling over $13,000 to buy and own a car for three years. Both one-time purchase costs and annual ownership costs are significantly higher in Florida. Florida's insurance premiums, for example, are $329 higher than the national average. Owning a car for one year in New Jersey is $527 more expensive than the national average; owning a car for three years is $2,258 more expensive. This is mostly due to the higher-than-average insurance premium cost of $1,905 and car maintenance costs, which are $422 on average. One-time purchase costs in the District of Columbia aren't cheap, costing $306 more than the national average. But D.C. drivers really pay more on recurring costs, which are $676 higher a year compared to the national average. From the higher $115 registration fee to costly insurance ($1,773 annually) and repairs ($412 annually), expenses quickly pile up for car owners in D.C. Owning a car for three years costs $3,225 more in California than the national average. California's high gas prices, second only to Hawaii's, are the main expense driving up the cost of owning a car in this state, with typical costs at $1,895 a year. Car maintenance is also pricier in California ($418 annually) as is car insurance ($1,752 annually). Michigan is the most expensive state to own a car. Here, the cost to own a car for three years is $4,088 more the national average of $11,227. While Michigan has cheaper gas prices and car repair costs, it also has the highest insurance premiums of any state. Michigan drivers pay $1,413 more than the national average (premiums of $2,738 yearly, or $228 a month), and $441 more than the state with the next-highest insurance premiums. Michigan's strict no-fault insurance laws require drivers to purchase wider and more comprehensive auto insurance policies that are also the most expensive, according to Insure.com. Car sales tax, based on rates provided by CarMax.com and calculated on the average car transaction amount of $33,543 in August 2015 as reported by the Kelley Blue Book. Title fees, as reported by the National Conference of State Legislatures. Registration fees, as reported by the National Conference of State Legislatures, calculated annually. Average annual car insurance premiums, sourced from Insured.com's 2016 report on car insurance rates by state. Annual gas expenses, based on an average of historical regular gas prices in each state sourced from AAA's Fuel Gauge Report. The expense was calculated based on the assumption of a driver filling up a 14-gallon tank once a week. Average car maintenance and repair costs in each state, sourced from CarMD's 2014 State Repair Cost Rankings. For title and registration fees are based on car statistics, GOBankingRates assumed a car value of $33,543, an average weight of 4,000 lbs and a model year of 2014. Car sales tax and title fee were counted once each, while recurring annual costs of registration fees, insurance premiums, gas expenses and car maintenance were each counted three times for three years. This generated the total costs of buying and owning a car in each state, and states were ranked according to this total to find the least and most expensive. This article, Most (and Least) Expensive States to Own a Car, originally appeared on GOBankingRates.com.